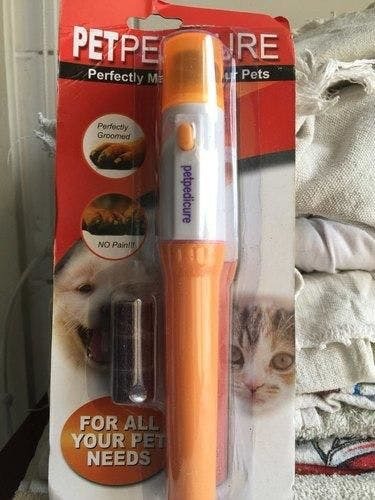 Revolutionary Nail Trimmer For Dogs & Cats. 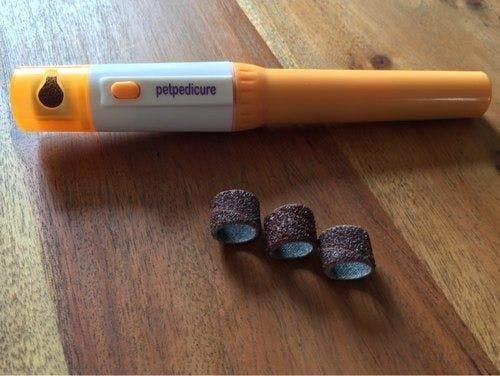 Easily & safely files your Pet's nails to leave them trim, rounded, and smooth. With precision emery filing wheel that gently removes thin layers of nail. 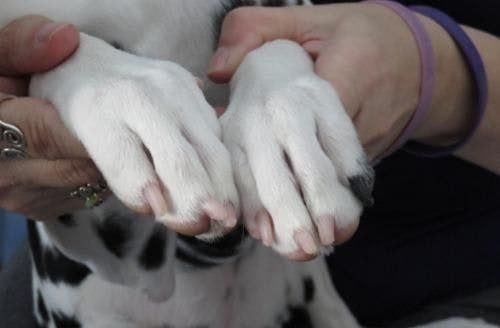 Trims the nails painlessly rather than traditional nail clippers. Makes your furniture, upholstery and skin safe from scratches. Unique protective cap self-contains the very filings so there's no mess! Comes with 3 extra emery heads for interchange. Uses 2C batteries (not included). 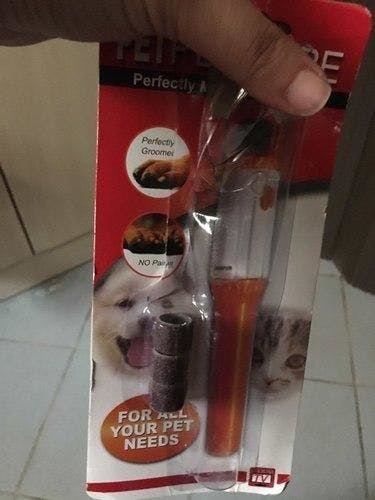 The ONLY way to trim my cat's nails! I am very delighted with the product. I am very delighted with the product. It works great! Thank you for taking such good care. I recommend seller. A Life Saver for My Jumpy Dog! A Life Saver for My Jumpy Dog!! Look at her nails now! Soooo perfect! And ORDER arrived perfectly packed and it works,. And ORDER arrived perfectly packed and it works,. thank you.